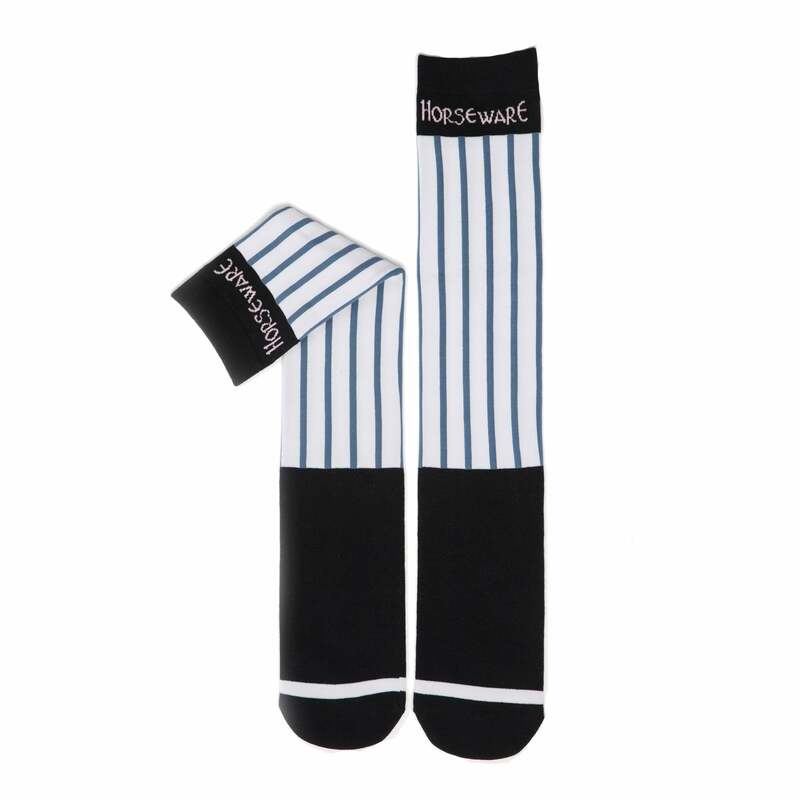 These Horseware Show Socks are thin gauge, finely knitted socks making them perfect for smoothly fitting inside your long boots without bulk. This two pair pack features two designs in a smart printed stripe pattern. The Horseware Show Socks are great for competition or everyday wear and designed to coordinate with the Horseware Polo SS18 collection.